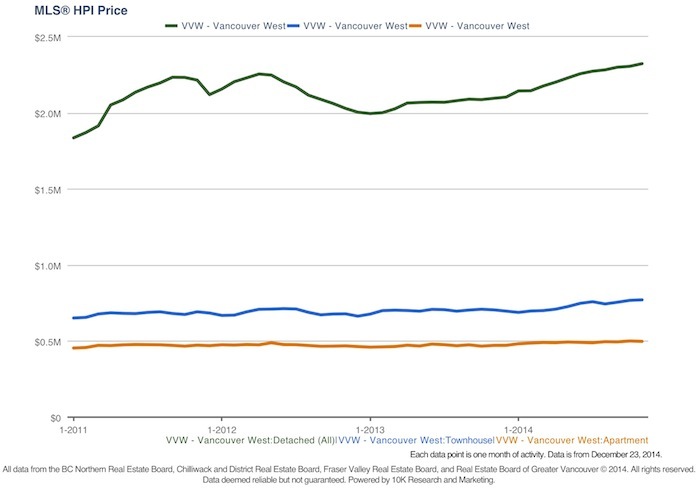 Blog: Real Estate Report: Will Oil Prices Effect Vancouver Market? Will the current plunge in oil prices change this apparently stable market? They may well dampen Calgary and Edmonton price increases but I believe that sharply fallen oil prices will have little to no effect on Vancouver real estate prices. 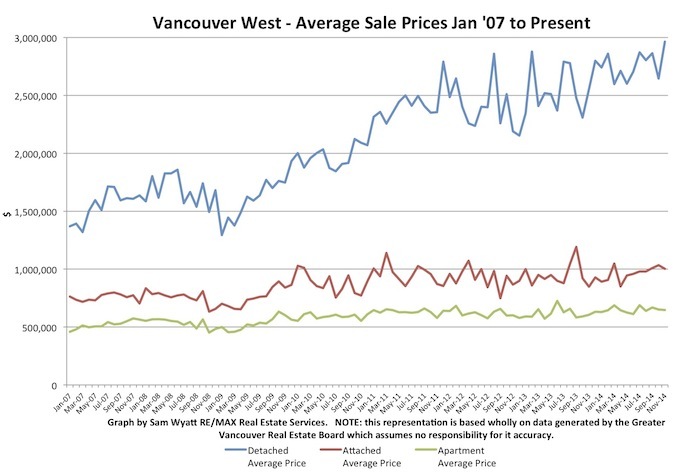 For some time now the Vancouver market has been shaped from the top. The highest price increases have been for the most costly and scarce real estate - detached homes. The Vancouver westside market has been driven by wealth not incomes. Individuals with high net worth have been buying high-end homes and the increases in price have been marginal compared to their total assets. As costly lots and homes are bought, sellers have moved to less expensive neighbourhoods or downsized thereby driving up pricing for lower cost homes all the way down the product chain to studio apartments where the smallest price changes exist. January 2013 looks to have been the turning point marking the start of the past two years of up trending sales volumes. 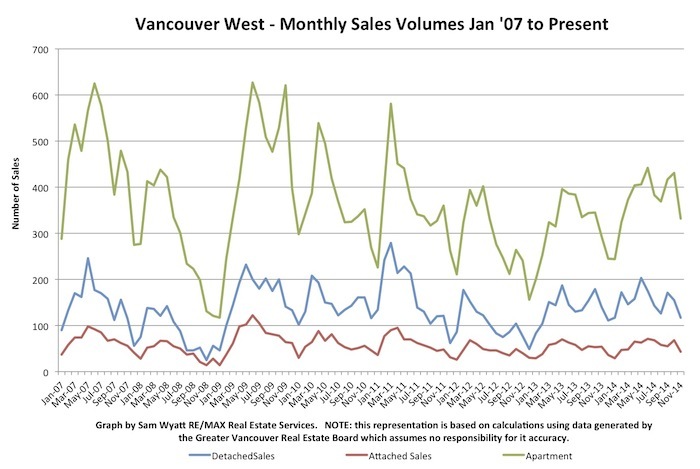 2014 has had very consistent and sustained sales volumes. It has had the highest monthly sales volumes since the Spring of 2011. 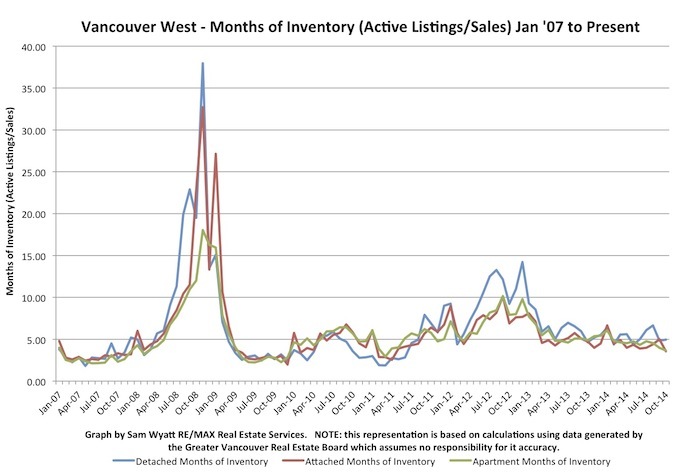 Like sales volumes, active listings appear to have had a turning point in January of 2013. 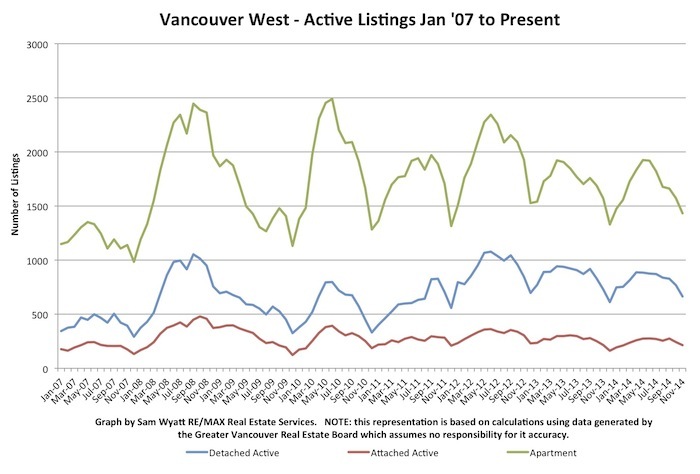 Active listings are high relative to pre-credit crises numbers but trending lower since the start of 2013. The US Federal Reserve Bank (Fed) ended the QE3 program about a month ago. Thus far the bond market and the ultra low fixed mortgage rates do not seem to have been materially impacted. The Fed introduced "quantitative easing 3" (QE3) back in the spring of last year to buy back $85 billion dollars a month of bonds and mortgage backed securities by effectively "printing" money (member banks' deposit accounts were simply increased). There is increasing talk of rising interest rates to come in 2015. Pricing increases have been modest over the past year and as they have for the past few years; detached homes have been the largest "winners". Good cash flowing real estate investments have been difficult to find in the past several years. 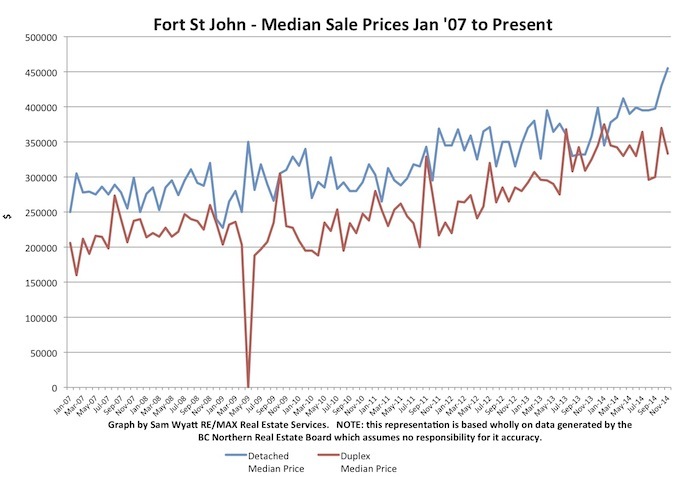 I continue to acquire revenue properties in Fort St. John, BC and to help clients do the same thing. The recent announcement of the approval for the Site C Dam on the Peace River just outside Fort St. John has just bolstered an already hot investment market. Consistent monthly income rolls in from these properties and the 30,000 plus jobs projected for the building of the new dam will only increase the need for rental properties. Fort St. John and the Peace River District are in the heart of some of the largest natural gas deposits in North America. Natural gas prices have fallen in the past several weeks but far less significantly than the nearly 50% plunge in oil prices. Properties in the Peace River area are cash flowing beautifully with conservatively projected annualized returns of about 20% based on a 5-year hold. So far, actual returns will be much better as price increases (avg. about 9%/yr since 2010) have substantially exceeded my projected 3% annual growth due to the well deserved high demand for homes. Do give me call and we can discuss this opportunity in more detail.